Big news! We are officially linked to CRMCs charitable foundation! Our campaign has been shared with the staff and now we just have to share share share! Mr. Bell informed me he can easily recognize gifts made to this cause as tax-deductible donations to the Foundation!! The plan is to move forward raising the funds. 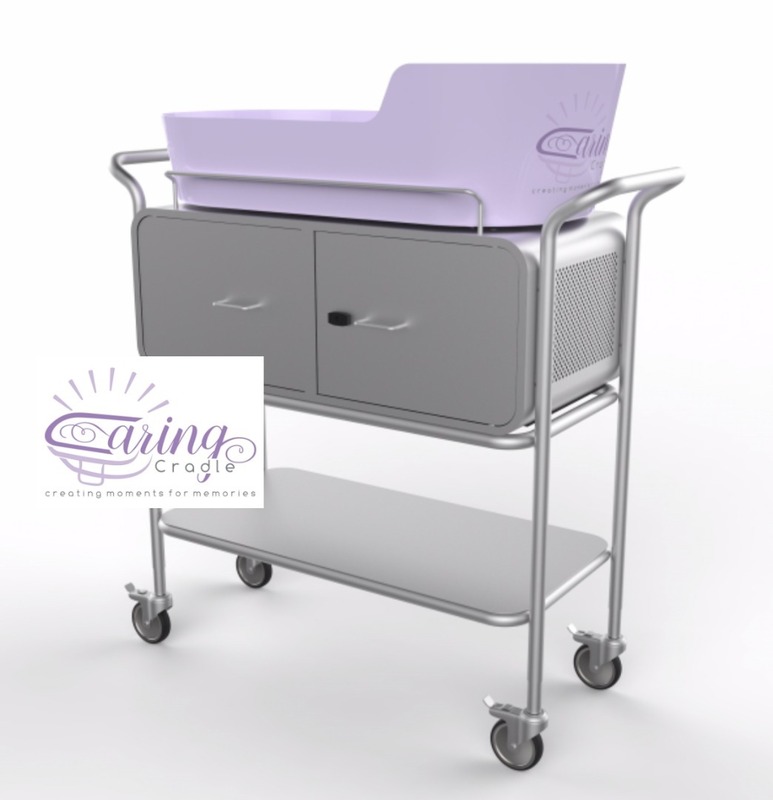 Once they are raised we will order with Mr. Bell and have the Caring Cradle shipped directly to Labor & Delivery to be able to get the non-profit pricing Caring Cradle offers! This is amazing news! Thank you all for your continued support and love. Guess what!?!?!?!? I've got some great news of Support from the Executive Director of Cookeville Regional Charitable Foundations, Mr. John Bell. I got to share a little bit of our story with him and he sent back the kindest email today! Hoping to touch base next week, but he was definitely passing this campaign along to his Donors and I'm so unbelievably grateful for that! Thank you all for sharing, and donating. It means so much to us, and I know it would Cooper. 10% of the way there! I know we can do this! This new -$100 price quote is good for 30 days at least, but I am going to hope it stays so low until we get this money raised. Also as long as it's delivered to the hospital we get the lower non-profit pricing !!!!! EEeeekkkkk!!! This is great news!!! I spoke today with the wonderful Lynn Walker (the lead OB nurse in the delivery ward) for a bit on the phone. She was wonderful and we cannot wait to meet up this week possibly to get everyone on board with getting this in CRMC as soon as possible. I am giddy like when his milk came in. This is really going to change peoples lives. Cooper is really going to make an imprint on this world again and its got my heart over flowing today!!! Tomorrow wouldn't be soon enough for me to have this helping families like mine who faced the unimaginable. Gosh what a wonderful conversation we had on the phone. I'm overjoyed !!! Gift from Briana Cuttruff of the Tribe. Words cannot say enough Thank You Briana!!! No parent should have to bury their baby. I can only imagine the pain, hopefully this helps in some small way. For your sweet angel Cooper, who shares my son Stone’s birthday. Also for My sister’s Angel baby Isla-Grace. ?? Happy third heavenly birthday Cooper! ???????? Cooper will be in my heart forever.